The language of business. In order to understand how your business is performing right now and to evaluate, assess, and devise new strategies to boost future performance, you need information. Financial statements are a critical source of the information you need. 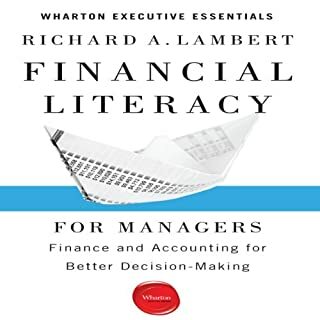 In direct and simple terms, Richard A. Lambert, Miller-Sherrerd Professor of Accounting at the Wharton School of the University of Pennsylvania, demystifies financial statements and concepts and shows you how you can apply this information to make better business decisions for long-term profit. 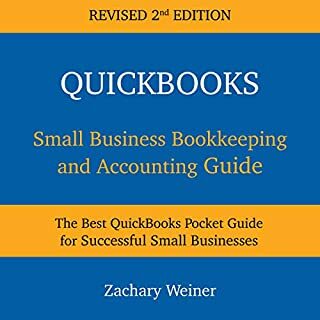 In QuickBooks Small Business Bookkeeping and Accounting Guide, Zachary shows the basics of bookkeeping all the way to complex items like handling the managing of your cash flow. With a heavy focus on QuickBooks and accounting fundamentals, listeners will go from novices to accounting professionals in a matter of hours. 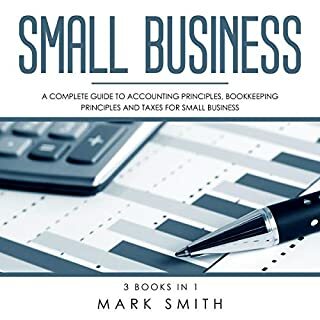 This audiobook features 3 Books In 1 - Accounting, Bookkeeping and Taxes for Small Business. Accounting - This guidebook is going to take the time to explain some of the important aspects of accounting. 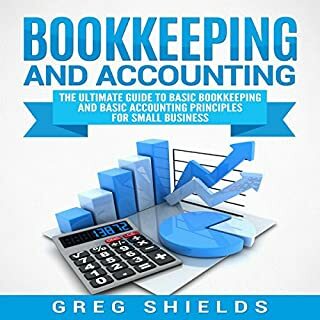 Bookkeeping - This guidebook has all the tips that you need to help you get a good handle on your bookkeeping so that you can keep your finances in order and even help you when it’s tax time! Taxes for Small Businesses - All you need to know about taxes for your business. 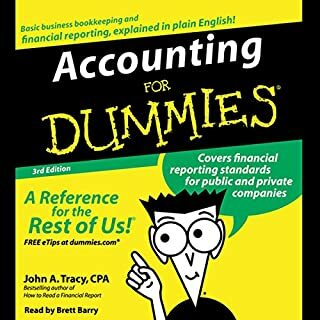 This audiobook is intended for people who want to know something about the fundamentals of financial accounting without becoming an accountant. Most of these folks do not need a deep understanding of accounting; they just need to learn what accounting is and how they should be using it. Just as important, they need to understand what accountants are talking about in their reports. They must learn the vocabulary and the most important terms. If you are one of those, you have found the right book for you. A limited liability company (LLC) can be the right choice for any business owner seeking to reduce liability and protect his or her assets. This type of entity has several advantages over operating a sole proprietorship or partnership. Unlike a sole proprietorship or partnership, an LLC shields the owner or owners from liability, and unlike a more complex corporation, there is no board of directors to answer to. In this audiobook, you will discover the ins and outs of an LLC and find out if it’s right for you. Well written ,very helpful, easy to understand. 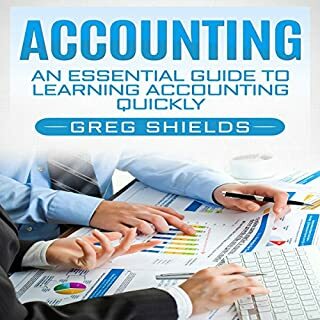 Accounting for Non-Accountants is the must-have audiobook for all of us who have never taken an accounting class, are mystified by accounting jargon, and have no clue about balance sheets, income statements, or statements of cash flows. A business that neglects its taxes is a business living on borrowed time. But there's no need to despair. Getting your business on the right side of its tax burden is easier than you think. This QuickStart Guide from ClydeBank Business will help you lay the groundwork of a sustainable business tax strategy. You'll learn how to proactively minimize your tax obligations and how to maneuver your way out of trouble should you ever fall behind. Did you know the typical small business owner works three to four months just to earn enough profit to pay taxes? Whether you've been in business for several decades or are breaking ground as a new entrepreneur, taxes are a significant expenditure. They must be accounted for and incorporated into your business plan from the very beginning. Failing to account for taxes when planning, budgeting, and assessing revenue goals for a business is like failing to account for the expense of your rent or mortgage. Discover candid advice, effective techniques, insider information, and success secrets that will boost you confidence. This updated editions is even more accessible, with easy-to-follow information from starting, running, and growing a business to new chapters on green business practices, technology tips, and marketing tools. Finance for Nonfinancial Managers helps you understand the information in essential financial reports and then tells you how to use that understanding to make informed, intelligent decisions. As a business owner, you can't make responsible decisions if you don't understand the financial measurements that indicate the health of your business. This book takes the fear out of the numbers, and empowers you to steer your way straight toward profitability. I was really happy with the information covered on accounting in this book. I've listen to and read several books on the subject to learn about balance sheets, income statements, and cash flow. This book did a good job of introducing the subject in an easy to understand way. You won't be a certified CPA when you finish but you'll be able to have an educated conversation with yours when your done. Be sure to check out the PDF that comes with the book. Also, be aware that, if you're like me, you may need to hit that rewind button quite a bit. Sometimes it's tough to keep up with the formulas in your head. Still, I'm very glad they turned this into an audiobook. Currently an accounting student and this has opened up my understanding to the terms in class. 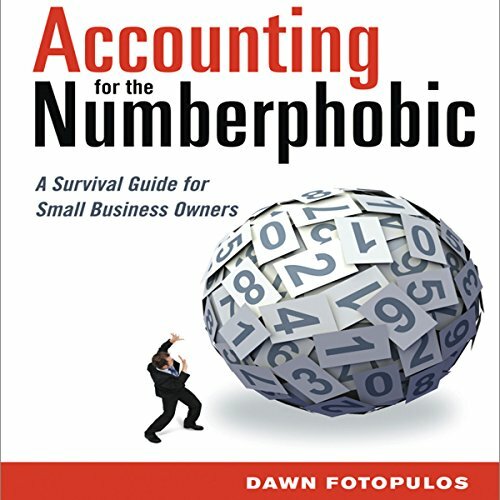 Would you consider the audio edition of Accounting for the Numberphobic to be better than the print version? What about Karen Saltus’s performance did you like? I definitely am numberphobic, so this book appealed to me. I am SO GLAD I got it, and am going to get a hard copy to highlight. It has made a huge difference in my business. Always protect your bottom line. Thank you, Dawn! Very simple and way too basic. Not recommended for someone who wants to get a basic and complete picture of accounting. Yes, because the book gives the right tools, to understand the jargon of the financial statements and gives good advices for the non accounting professionals. I loved her voice tone and the reading speed. Even though i'm an accountant, i chose this book, because i'm a native Spanish speaker and i want to learn the accounting terms and this book fulfills my goal. and gives good advice to all entrepreneur with no financial background. Very informative. some of the material required a second listen due to lingo being used before an explanation of the words. I couldn't complain about anything really other than that. Idiots guide to accounting. Exactly what I needed. loved it everything was in simple language it broke down the entire income statement balance sheet. She gave examples of changes in different aspects of the company's financial statement. I would definitely recommend this to anyone, even someone doing personal financial management. An amazing way how to be able to do the business and be ok with the numbers Highly recommended. Thank you. Where does Accounting for the Numberphobic rank among all the audiobooks you’ve listened to so far? This is a great book on accountancy. By far the easiest and clearest to understand. The PDFs accompanying it are great. Balance sheets, Cash flow statements and how to read them.